HPS was first discovered in 1993, and has since resulted in more than 500 confirmed deaths in the United States. This sometimes fatal respiratory disease can be contracted by simply breathing in air contaminated with the virus, which can be found in the urine, droppings, and saliva of rodents. If you recognize the early symptoms of HPS , seek medical treatment and contact a rodent control provider in your area to eliminate mice and rats that may be spreading the disease. Although RBF is usually transmitted after being bit or scratched by a rodent infected with the bacteria Streptobacillus moniliformis or Spirillum minus , people can also contract the disease handling rodents with the aforementioned bacteria (even without a bite or scratch) or by consuming contaminated food or beverages. If not treated, RBS can be a serious or even fatal disease. Again, if you notice the symptoms of RBF , contact your health care provider and set up rodent extermination to prevent further exposure to the disease. Also known as field fever, leptospirosis is an infection caused by a corkscrew-shaped bacteria called Leptospira that is commonly carried in many wild animals but is particularly prevalent among rodents. If left untreated, leptospirosis can cause kidney failure, pulmonary hemorrhaging (internal bleeding), and death. 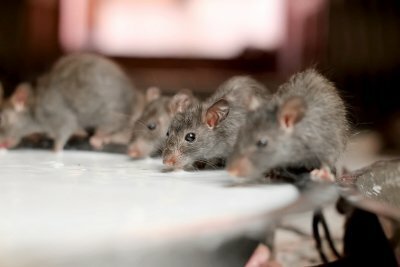 If you are concerned about rats and mice in your home, contact a pest control company in Crystal Lake and schedule rodent extermination to protect yourself and your family from this potentially fatal disease. Earwigs are among the most dreaded pests that can take up residence in your home. If you are concerned about an earwig problem, it is a great idea to contact an exterminator in Crystal Lake. To get the most out of your pest control services, you may want to take the time to identify your earwig problem. Earwigs are long and flat in shape, and are typically between 6 and 35 mm in length. In addition, you may be able to notice long pincers on rear of an earwig’s thorax. A professional pest control company can send exterminators to your home to help you eliminate an earwig problem. To help you determine when it is time to call the exterminator, be sure to check out this informative video from eHow. The winter season is just around the corner, and now is a great time to contact a pest control company to discuss winter extermination methods for your home. 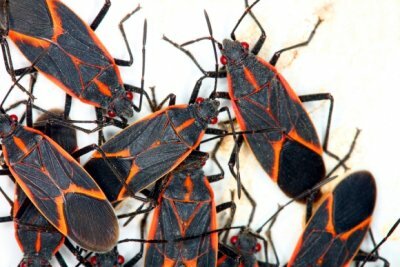 During the winter, box elder bugs will seek warmth and shelter indoors. When box elder bugs decide to take up residence in your home, it is essential to contact a bug exterminator near Crystal Lake . With integrated pest management services, you can rest assured that your bug control needs will be met. By working with a highly qualified pest control company, you will be able to eliminate box elder bugs from your home for good. To help you identify and control a box elder infestation, here is a look at some essential information about these bugs. Box elder bugs get their name due to the fact that these insects spend the warmer months of the year living in box elders and other types of mature trees. These large insects are black in color, and feature bright red markings along the thorax and wings. Box elder eggs are red brown in color, and will hatch a few days after they are laid. When outdoor temperatures begin to drop, box elder bugs may begin to seek shelter in warmer spaces, such as the interior of a home. One of the top signs of a box elder infestation is the presence of these bugs along the sunny areas of a building. Once box elder bugs infiltrate your home, you may also see signs of eggs and nymphs around your interior spaces. Once a box elder bug colony decides to overwinter in your home, you may find that your household is filled with these bothersome pests. One of the best ways to control a box elder bug problem is to work with your pest control company to develop exclusion methods. For example, you can prevent box elder bugs from entering your home by fixing broken screens, sealing gaps under doors, and repairing damage to window frames. A rodent control problem can pose serious health risks to you and your family members. If you have noticed rats or mice on your property, it is essential to act fast and schedule pest control serving Crystal Lake. Your exterminator can recommend several mice control methods that will help you eliminate a bothersome rodent problem. For example, your exterminators can use fast-acting methods that will remove rodents at their source. Since a single female rodent can bear up to 50 offspring in a single year, you will need to make sure that the entire rodent population has been eliminated from your home. 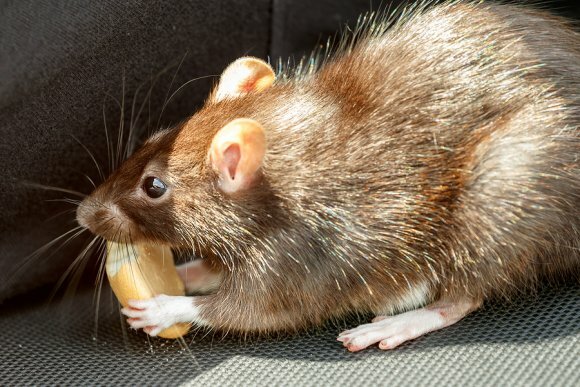 Highly qualified exterminators will have the knowledge and expertise to assess your rodent problem and recommend the proper treatment strategy. Your pest control company will work around your busy schedule to provide you with a pest control method that is quick, convenient, and highly effective. Be sure to contact your local exterminator to receive a free estimate for your rodent removal services.